This picture was taken at one of the many Pagodas in Bagan, Myanmar. These monks were in charge of a group that seemed like it was on a field trip, they had lots of very curious little monks along with them, and they were just as interested in us as we were in them. It was an interesting exchange, my sister and I were taking pictures of the monks, and one of the older monks took out his cell phone and took a picture of us. I love it when both tourists and locals get something out of an experience! In our experience everyone in Myanmar was really friendly, and no one seemed to have a problem with pictures. Bagan is a fantastic city, and if you are visiting Myanmar I highly recommend a visit to Bagan! This is a photograph of Osorno Volcano, located in Los Lagos (the lakes district) of Chile. Chile is a beautiful country with a LOT of really interesting and diverse natural beauty to offer tourists. This is one of the more famous locations associated with Chile’s natural beauty, and it’s easy to see why. 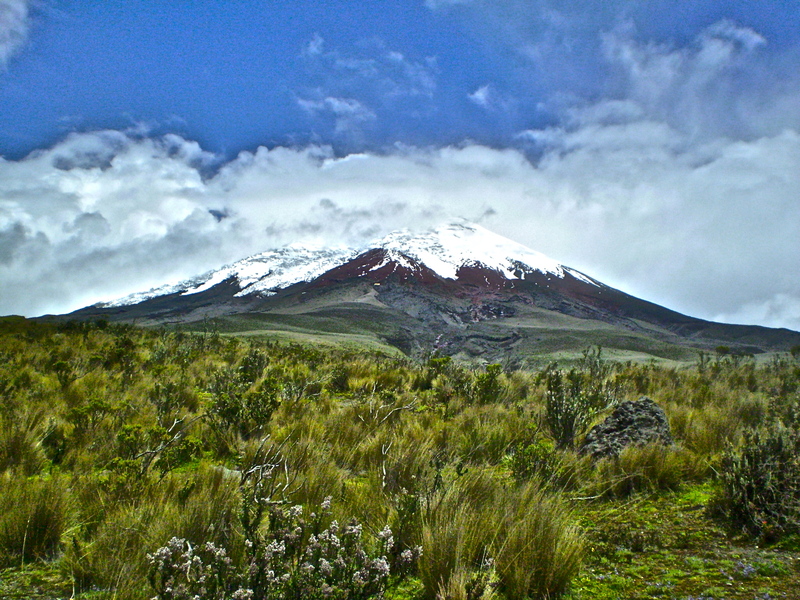 This imposing Volcano stands at 8,701 feet, or 2,652 Meters, and is part of the Chilean Andes. If you are looking to Visit this area of Chile make sure you have to appropriate attire. It gets COLD here! We visited a while ago, I think I took this like 6 years ago! But one of the things I remember very distinctly about the experience, besides how gorgeous it was in this area, is that my family was not prepared for the elevation and the cold climate that comes with it. So just do your research! This picture was taken in Bagan, Myanmar (formerly Burma). 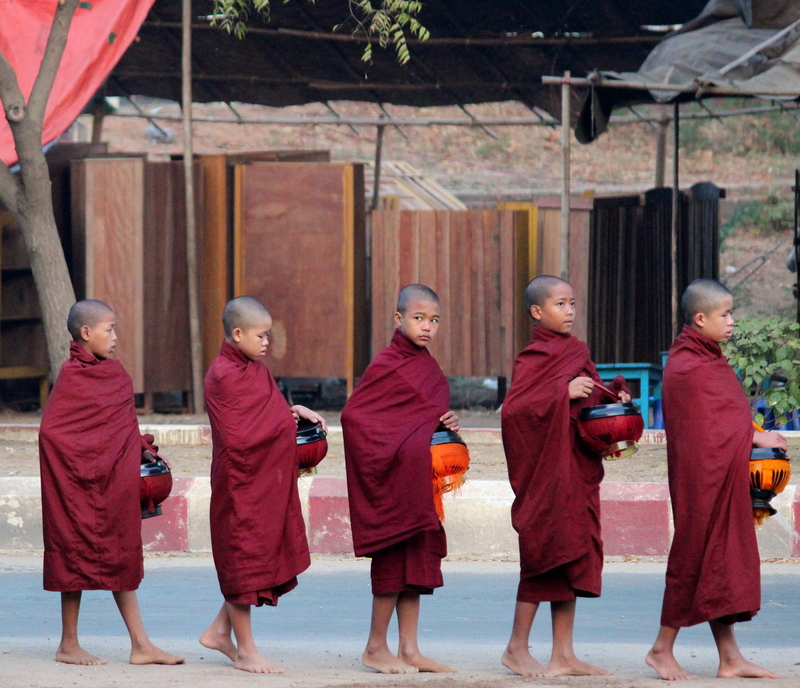 This is a group of young buddhist monks going to collect alms. This was a lucky shot, we had woken up early and happened to see these monks passing the gates of our hotel on our way to breakfast. Myanmar is a predominantly Buddhist country, and Bagan seems to have a particularly high number of Buddhist monks. It was really cool to see this, and i’m sure if you want to make sure you see it while you’re there, you could ask the front desk at your hotel when/ where it happens. Myanmar is still not a heavily touristed country, and it is a somewhat conservative place. It’s important to know about this and try to be respectful of this when traveling there. Try to cover your legs, at least to your knees, especially when you are entering temples, it’s also important to cover your shoulders and remove both shoes AND socks when entering any of the numerous pagodas in Bagan. It’s always a good idea to have a sarong with you to cover up for these visits. When watching the monks go for Alms, be respectful! Don’t take flash pictures, don’t break their line, and don’t talk to them. Being culturally considerate is something that I always stress, keep in mind that whenever, and wherever you travel, you are a visitor, try your best to be respectful of the traditions and beliefs of the place that you are visiting. 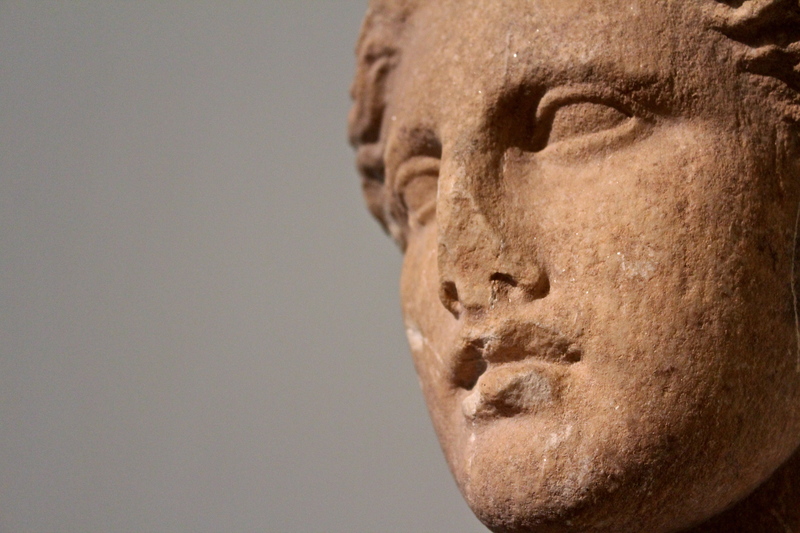 This was taken in the National Archeological Museum in Athens, Greece. The museum has a lot of really cool artifacts, and is home to many really impressively carved pieces like this one. The museum is a really great place to spend a morning, or early afternoon when you’re in Athens. Its pretty easily accessible, we walked there from the hostel we stayed at. In the event that you’re looking for a hostel, the place is called Zorbas Hostel, and it’s pretty nice. They even had air conditioning, and its located right next to a metro, so you can get pretty much anywhere from there. The museum is really awesome, and it’s absolutely worth a visit.